In Florida, lightning damage is a real concern. Florida experiences more lightning strikes than any state in the US. In addition to severe injury and loss of life, lightning accounts for $4-$5 billion in damage per year. Lightning bolts are 5 times hotter than the surface of the sun, making them one of the deadliest and destructive natural wonders known to man. 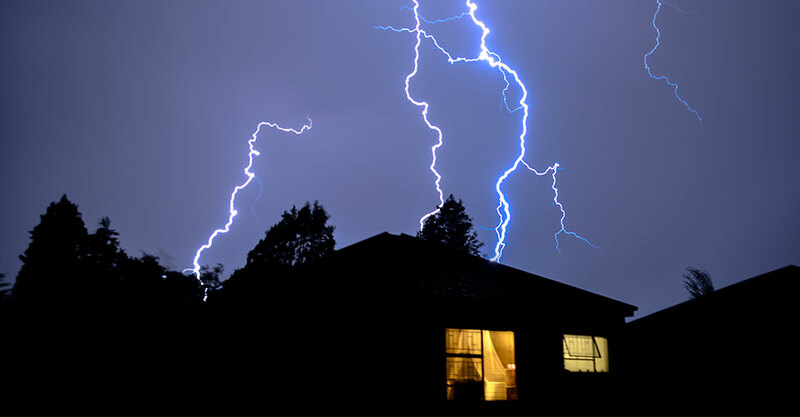 Lightning strikes can cause major roof damage, fires, power surges that destroy major appliances, the destruction of entire residential or business electrical systems, downed trees and power lines and more. The professional Adjusters at ALL– LINES Public Adjusters are experts at assessing lightning damage claims. Having the most experienced public adjusters in the industry, ALL– LINES Public Adjusters know how to expertly file your claim, assess & document your damage and loss, and recover maximum settlements on all lightning damage claims. Our Company will make absolutely sure that you collect every penny you are entitled to according to your policy. Whether you have a new lightning damage claim; or a claim that was denied or underpaid, CALL ALL– LINES Public Adjusters Today! We will make sure your insurance company compensates you for ALL of your lightning damage and related losses.